This mural is ready to 'order and print' - or you may customise it with your own scenic photo. 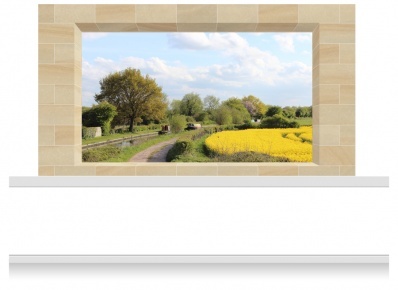 You may trim this mural to fit your wall space perfectly. 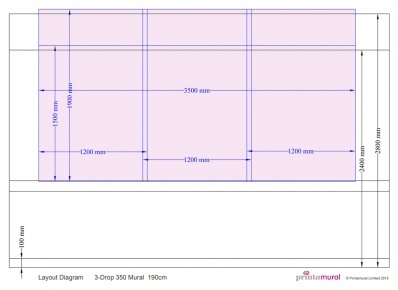 If the width of your wall is significantly less than 350cm, then perhaps consider a narrower 2-Drop Window Opening mural at 235cm wide.